You can easily configure your shipping, including at what total weight do you want to manually determine freight charges. Once the items in the shopping cart exceed the 'max' weight for UPS or FedEx, the message of your choice will appear. You can enter the measurements of all of your standard shipping boxes and the products that are shipped in them. 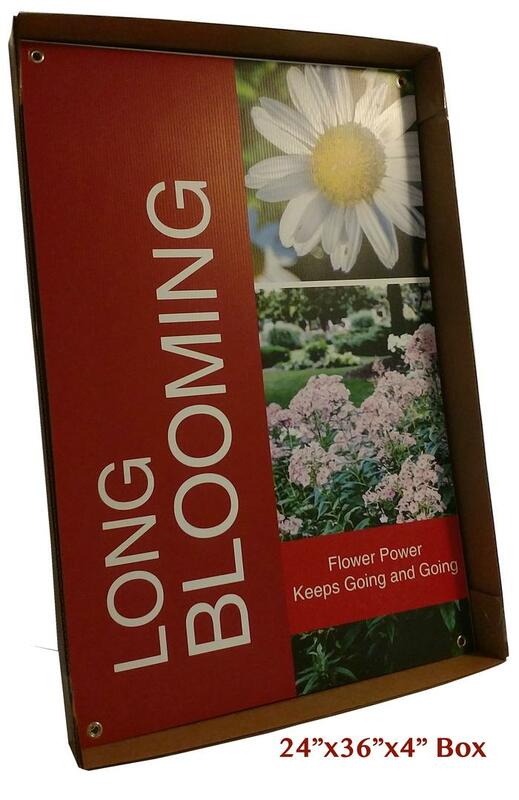 In this example we can ship up to seventeen 24"x36" corpolast posters in this box. Setting up the box is quick and easy. 1) Name the box. Enter the dimensions: 2) Length, 3) Width and 4) Depth. 5) Enter the weight of the box. 6) Add an OPTIONAL box/handling fee. 7) If shipping is a flat rate for this box, enter it here. You can easily assign one or more shipping classes(1) to a standard box. Enter the minimum(2) and maximum(3) number of products assigned to the shipping class that will fit in the box. You can also set Standard (1) per-box and (2) per-order fees. Use this tool to configure your shipping and boxes to help ensure accurate shipping rates are calculated for your customers in your shopping cart. Calculating shipping costs is straightforward IF (and this is a big 'if') there is logic that can be programmed so your web store can pass accurate weights and dimensions to UPS or FedEx. If you can't document your shipping rules based on specific box sizes and product weights, it will be impossible to get accurate freight estimates. 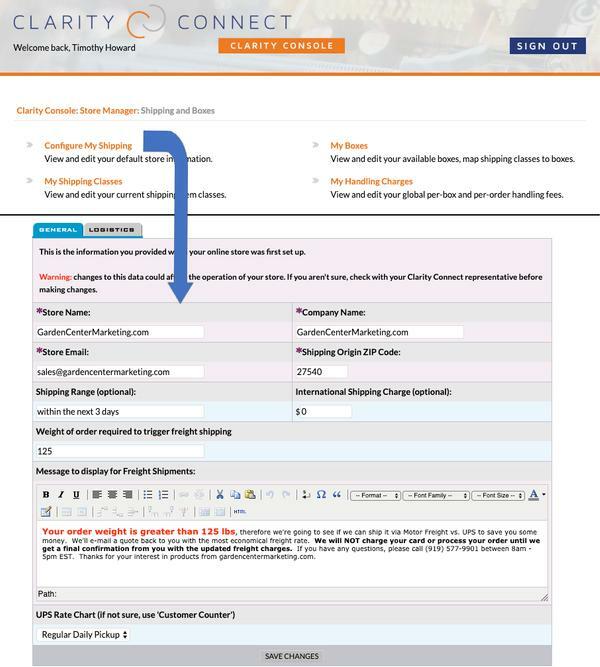 Total order weight to trigger a message indicating you will determine the best shipping method to get back to them with a freight quote. Shipping Classes: You can name each of your shipping classes and indicate what the ship from zip code is (great for drop-shipments), Flat per-order and per-box handling fees if applicable and standard lead time for that shipping class. Standard Shipping Boxes: Include length, width, height and weight of box plus optional per-box handling fees or a flat shipping rate if it applies to this box type. The images at the right are related to how we set up shipping for 24"x36" Coroplast posters On GardenCenterMarketing.com. The system allows us to enter everything we need to be able to accurately calculate the number of 24"x36"x4" boxes and weight of each box, we will need to ship those products. Each sheet of Coroplast weighs 1lb and up to 17 signs will fit in one box. If you don't have good data and a consistent methodology to know the sizes, quantities and weights of all boxes for an order prior to packing the order, it is virtually impossible for the web store to calculate accurate shipping rates. If so, you may want to consider percentage of order or some other formula to calculate freight in your shopping cart. The weight of individual plants and products are associated with their corresponding SKU in our Plant Database Editor or Product Database Editor. If you are interested in adding online shopping to an existing website we have built for you, or you would like to chat about how our shipping and boxes editor can be incorported into a new website we can build for you, let us know. We'd be happy to schedule a webinar to demonstrate this or any other of our solutions.